If you are a songwriter and you have a publishing deal, the music publishing companies will manage your songs and make sure that all of the royalties to which you are entitled are being collected. They will usually actively move to make your songs "work harder." In exchange, the music publisher will get a cut of income generated by your songs. First off, don't confuse a music publishing company with a record label. While both share many of the same goals for their songwriters, publishers provide a wider array of services. A music publisher's role is to make deals with songwriters, promote the songs their songwriters compose to musicians and anyone else who may need a song for whatever reason (advertising, a movie, a promotional campaign, etc. ), issue licenses for the use of the songs they represent and collect licensing fees. This work is usually referred to as the administration of a song. Some publishing companies are extremely hands-on and get involved in everything from the creative process to heavy promotion. For instance, many publishing companies have a person/department devoted to providing feedback to songwriters on their work, making suggestions for new directions and matching songwriters up for collaborative efforts they think may produce interesting results. The companies that get deeply involved with the creative process are also the ones who tend to be significantly proactive when it comes to placing their songwriters' work and soliciting new opportunities for their rosters. Other publishing companies are far less engaged with their clients. They tend to evaluate a composition, make a decision about its profitability potential and then "purchase" a chunk of its royalties. 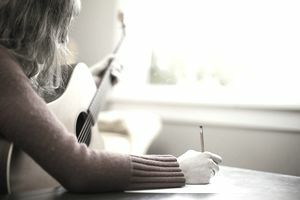 These companies offer little, if any, creative support to their songwriters and are more reactive than proactive when it comes to seeking licensing opportunities. Although they will still handle the administration of the songs on their rosters, they tend to respond to offers rather than going out and trying to generate them. Major Affiliated - These are the independent publishing companies that have deals with the majors to handle their licensing administration. Think of these like major distributed independent record labels. Independent - These publishing companies handle their own administration in-house without the aid of one of the majors. They are also self-funded. Writer-Publishers - It is not uncommon for a songwriter to handle his or her own publishing. If the workload demands, they may hire someone to handle to handle their song administration for them, but this person is an employee of the songwriter who gets a salary/hourly rate/flat fee for their work - not a representative from a publishing company that takes a cut of the income generated by a song. For music publishers, earning money is all about licensing fees and royalties. There are several different royalty streams of which a publisher will get a cut, but some of these royalties are not exclusive to them. Depending on the circumstances, they may share a royalty with the master owner. In terms of song "ownership," a publisher usually gets a 50 percent stake in a track. In other words, the original copyright owner (the songwriter) assigns the publisher a portion of the copyright for a song to the publisher. As a songwriter, a deal with a good publishing company can significantly increase your earning potential. However, publishing deals can be complicated and signing the wrong deal can leave you burned for many years to come. Always seek legal advice before making a publishing deal.